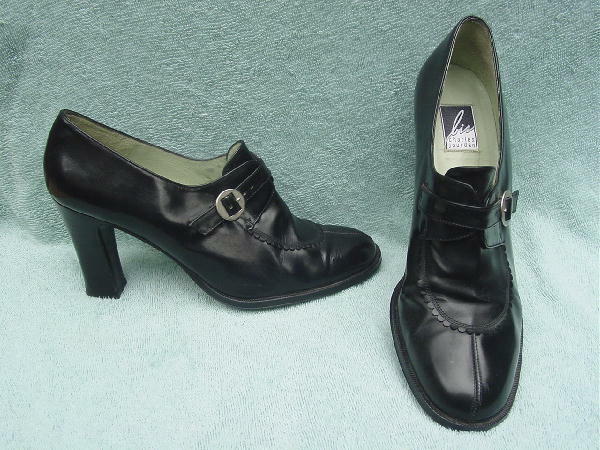 These vintage black leather shoes are BIS by Charles Jourdan and were made in Spain. They have rounded toes, an adjustable strap, and silver-tone round buckles on the vamps. 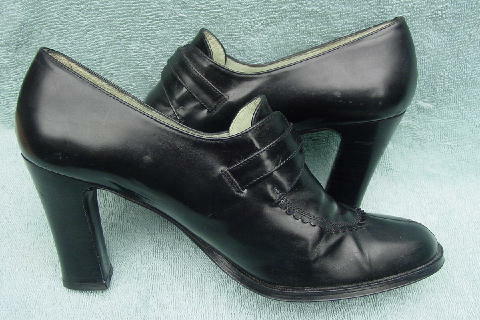 There are faux wood stacked heels and light celery colored leather linings and insoles. 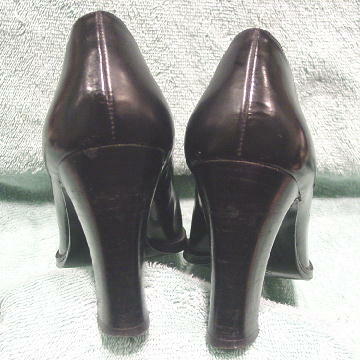 The shoes and heels have scuff marks and some small scrape marks on the back sides. Some of the leather on the inner sides of the toe box is not as shiny as the other sides. The shoes weren't walked in very much. They were worn in a play in Europe.